Technology is pushing us into a future, which only very little people can even grasp. The Evangelists tell us that this is only a sequence of logical steps, driven by Moores Law, constant innovation and science. I am not against it, as a matter of fact, I drive that myself being a technology enthusiast. BUT not in the mindset of „everything goes“ but let’s make sure we have enough education, that society is able to have valuable dialogs on what is going on. 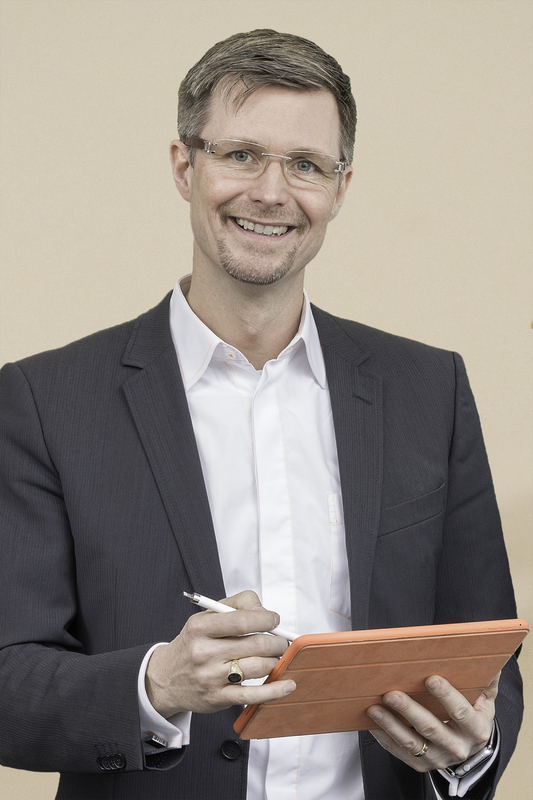 If we fail on educating people, only a few will „design“ our future – which probably is not driven by kindness, sustainability, appreciation and „For One Another“. My personal first start to make a broader approach on a „better world“ started in 2002 – long before social networks have been invented. I was so frustrated by all the negative news in TV, Magazine and also in the earlier Internet channels. 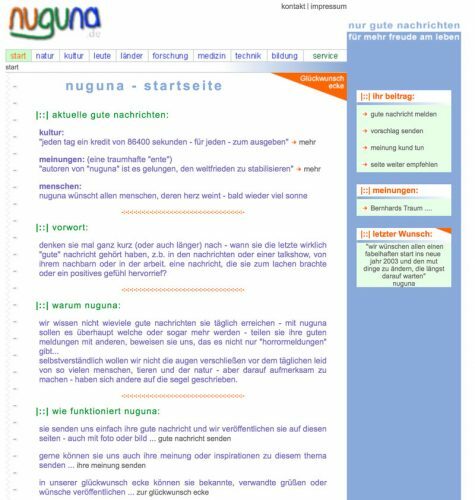 So I started a Website called „NuGuNa“ (Nur gute Nachrichten = Only good news), where I wanted to collect positive news, and give people help others or send them best wishes. I have not been very successful and because of lack of time, i had to stopp it and sold the domain. Some might remember the „Second Dancer“ effect – claiming that not the „First mover“ or Evangelist will create a movement, but the ones, who JOIN IN to something they trust or want to support – making this successful. ﻿ So why not try it out and see, if I can contribute with my „little time“ to something bigger. 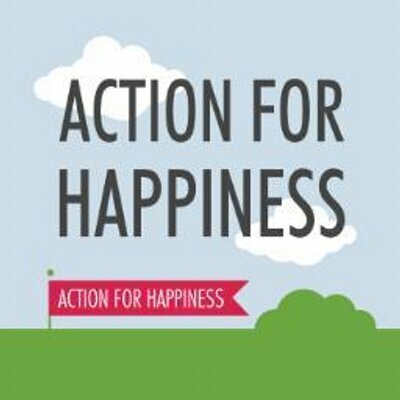 Action for Happiness seems to me like an idea, I want to invest some of my time. When I found this calendar in my Facebook timeline today, I immediately had the idea to make that a „working out loud“ action. 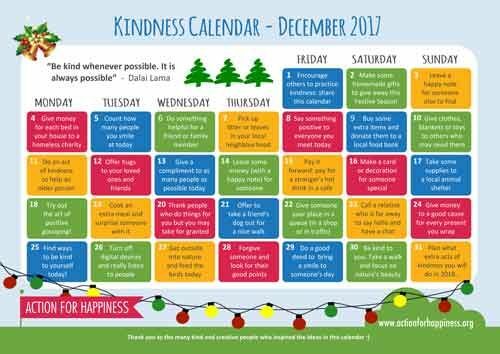 So I will do all those things in the calendar and inspire/invite others to join in. The tasks are VERY simple, for free, but can really make a difference in my surrounding world. I am curious, if this „spreads“ and if others join in.